You are soo talented girl!!! I loved it!! great job....you've got a gift like my daughter,Stephanie does. Keep using your gift of decorating to put smiles on other peoples faces. Good job, Shanna! OMG! 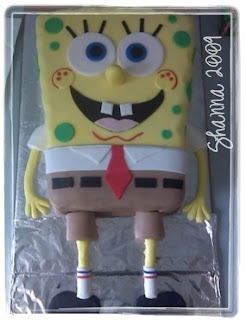 this spongebob is perfect!